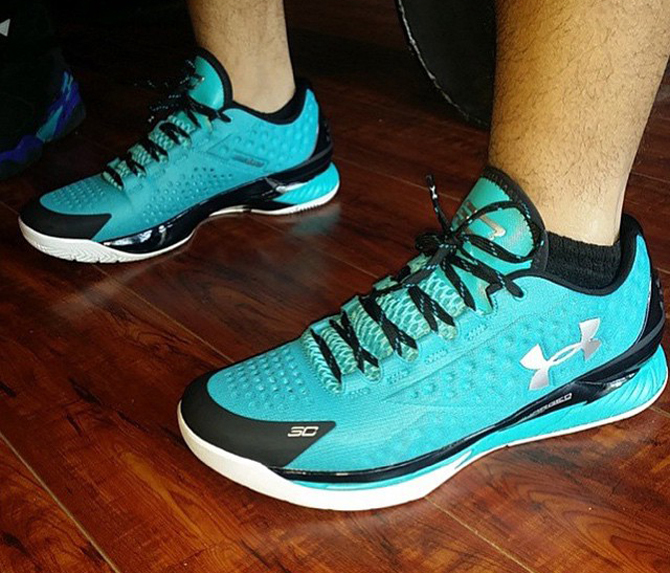 The Under Armour Curry 1 will apparently transition into a Low model somewhere down the line. This image gives a first look of what to expect from that model. The sneaker doesn't mess with the DNA of the original too much, and the only real change aside from the height seems to be the moving of the "UA" logo that hits across the side. There's no doubt that this silhouette has some Golden State colorways waiting in the wings, but for now this teal colorway is the only one out there. There is no sneaker release date yet for the Steph Curry 1 Low, but Sole Collector will have updates.